These true- and false-color images from the Moderate Resolution Imaging Spectroradiometer (MODIS) on the Aqua satellite show thick air pollution (true-color) in eastern China. On January 13, 2003, the false-color iamgery reveals flooding as well. 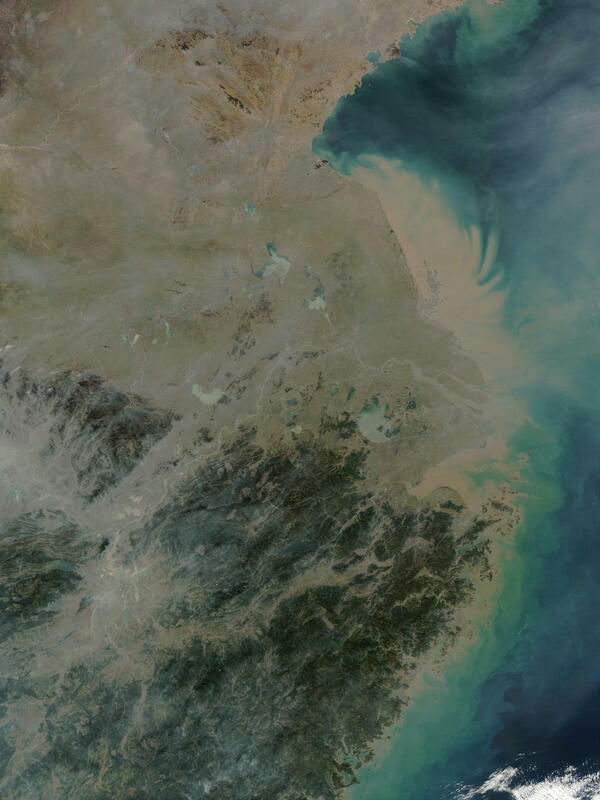 The muddy flood waters blend in with the fading vegetation of the winter landscape and are further obscured by air pollution in the true-color image, but in the false-color image, standing water appears bright blue or black against the green vegetation. Notice how the pollution tends to “pool” up around mountainous terrain in the higher resolution version of this scene.